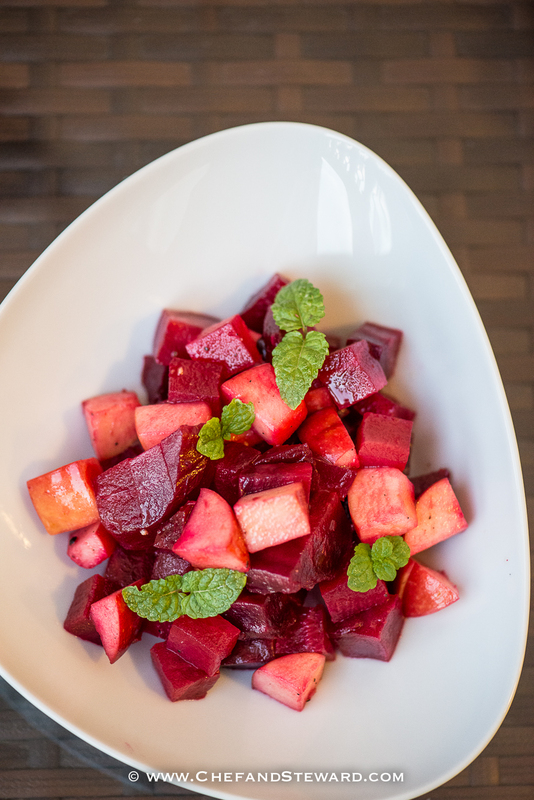 Just in time for the holidays, here is the antidote to yet another boring turkey on your table. Whether you love or despise the popular holiday bird, your palate will be dancing to the beat of the Caribbean with these spicy, flavourful notes. 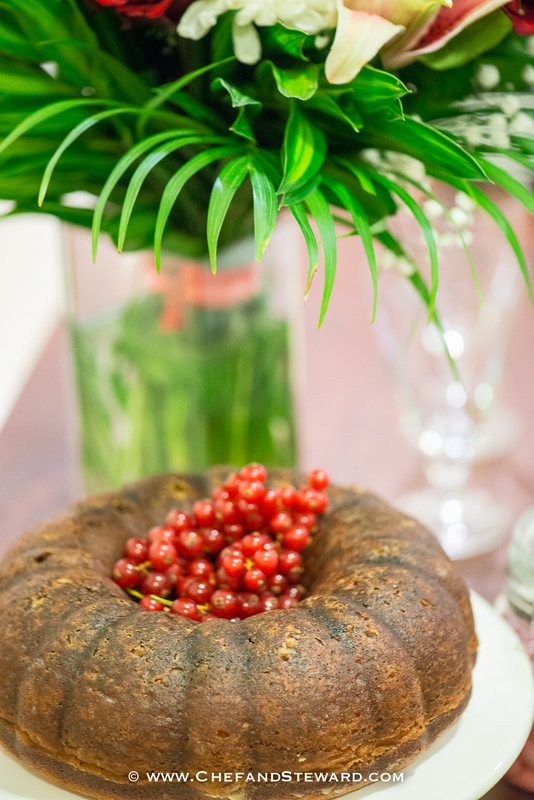 Be prepared to have a Thanksgiving or Christmas Dinner like no other. Neither of us used to be crazy about turkey, to be frank. It’s really just a boring bird. Well that is how we have thought of the popular American holiday main dish for most of our years. After all, seasoned with little more than salt and pepper, most of the turkey we have tasted has made chicken look like foie gras. The Jamaican holiday table is packed with spicy notes that add bang to every bite. We love complex flavours and don’t tolerate bland. Over the years it has become popular along with the staple cured ham at Christmas in Jamaican home. Even though Thanksgiving is not a traditional Jamaican holiday, as a spiritual people, we are happy to share in the spirit of being thankful for whatever our cups have been blessed with. Here’s how to ‘Jamaicanize’ your turkey and have a irie jamming Thanksgiving or Christmas. Why not add a tasty vegan rice and bean side as well? 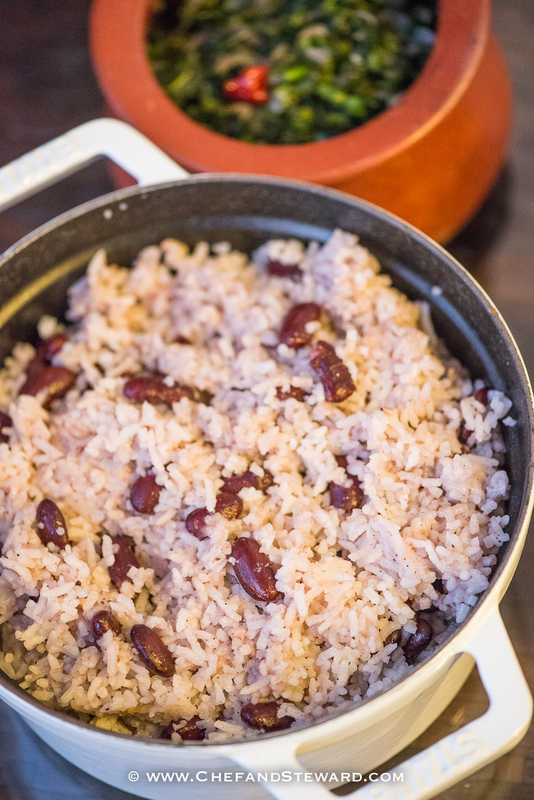 Here is our Jamaican Rice and Peas, which really should be the national dish of our homeland on account of how much of it we eat! For dessert we had our Appleton Jamaican Rum Cake, which we are taking orders for as well as the ever loved Vegan Jamaican Sweet Potato Pudding. 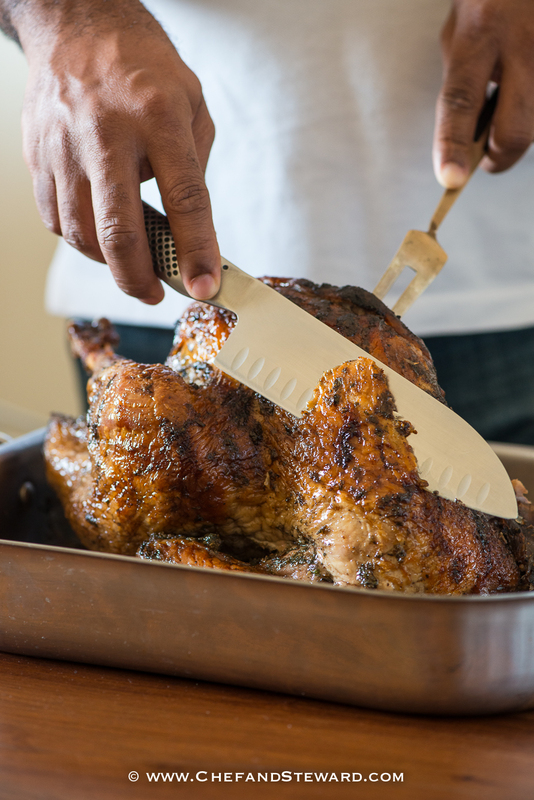 CHEF’S NOTE: There are a few key tips for a juicy turkey. The first is not to marinate with salt for an excessively long period. We used 3-4 hours here. The second is to bring the bird to room temperature before cooking it. Shocking meat with extreme termperature changes makes for tough chewing. The third tip is to cook it low and slow. It’s easy to want to rush it but most people go wrong here. Do not turn the oven too high. This works for any meat to be roasted or braised as well. Last, but certainly not least, please don’t cook the silly bird for 6-8 hours! Whoever told you that turkeys take all day to cook must have been talking about the very old tough, wild game birds, not the ones farmed for sale, like the one probably sitting in your freezer already. Trust me. What really matters is that you get a reliable meat thermometer and an oven thermometer. If you really love it, put a PIN on it ! You NEVER have to eat another bland, tasteless dry turkey again! Great for Thanksgiving, Christmas and festive occasions. Defrost turkey in fridge 3 days before you intend to cook it. Two days before cooking, clean the turkey and pat it dry, removing innards and any plastic ties for the legs. Keep the neck. Around 3-4 hours before cooking time, remove the turkey from fridge and add salt all over and inside the cavities. Replace cover and leave on top of kitchen counter to come to room temperature. Drain excess liquid and place the turkey bottom-side-down in the center of the roasting pan. Place in the center of the oven and cook 30 minutes, then reduce oven temperature to 130 C / 265F. After the turkey has been in the oven for one hour, turn around the roasting pan to compensate for any hot spots in the oven and to ensure even browning. Roast for 2- 2.5 hours or until the deepest part of the breast gives a reading of 70 C/ 161 F. Remove from the oven to rest for at least 30 minutes. Despite your eagerness to pinch, let the bird rest in peace. Literally! That’s what the neck is for. Grab your phone, take your best shot and brag about it on Instagram. Carve the meat against the grain. I still haven’t decided whether to do a turkey or not this year, this recipe sounds great though. Whatever you decide, Merry Christmas! 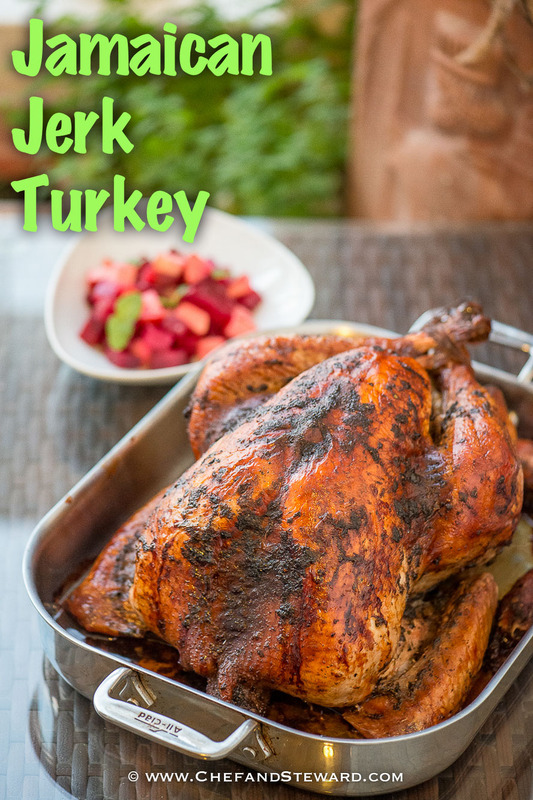 I love jerk chicken and never thought about cooking some jerk Turkey. I’m definitely going to do it this year though of the family. I love jerk chicken and never thought about cooking some jerk Turkey. I’m definitely going to do it this year though for the family. I’ve been tossing up between turkey or chicken for Christmas this year.. and after seeing this post I think I definitely will be making turkey – and following your delicious recipe. Thanks for the idea! You will be happy with your choice Thalia! With you on turkey being a boring bird – unless you can get your hands on a beautiful free range bird like a Norfolk bronze….sadly difficult in the UAE. I am so tempted to put this on the table this year but I think the traditionalists would riot. A smaller version for New Year would go down a storm though. Your table looks lovely – what a vibrant feast. Happy a lovely Christmas. Sally, if you see one of those, please pick up one for me! I will of course refund you for your expense. I deliberately tried to make the table setting more traditional and homely instead of the polished look I usually go for. I wanted it to feel like a seasoned grandmother was making this meal as opposed to a young millennial. What size was the turkey that you guys used? Hi Raven, I believe the recipe said up to 7kg or 16lbs. Do come back and share your photos of your Chef and Steward Jerk Turkey with us! I do hope my turkey look similar and taste like the one in the picture. I’ll post a picture in a couple of hrs. Wish me luck Easter turkey. I just found this recipe and we’re going to try it out this year because we can’t stand bland : ). Questions though: Do you recommend stuffing the turkey with anything for this? Also, we have a number of dried chocolate habaneros from a friend lying around still. Wondering if those can be used or if it’s better to use fresh ones? Thank you so much, this sounds delicious and can’t wait! We would not recommend stuffing the turkey. That is usually where the food poisoning issues stem from. Use fresh scotch bonnet peppers or substitute with fresh habaneros if not available. Have a lovely, tasty Thanksgiving! Super excited to try this! Do u recommend doing a brine as well? I’ll be using a fresh turkey. Thank you!! Brining is not necessary especially with the specific marinade and cooking instructions provided. Once you follow them you will have a moist turkey. 2)when you refer to putting turkey “bottom side down” do you mean putt it on its back? 1. Brining is not necessary especially with the specific thawing, marinade and cooking instructions provided. Once you follow them you will have a moist turkey. What a flavorful way to cook up a turkey! This will be a hit at my next dinner party! Marjorie, where are you located? At this point in time I do not ship internationally but I am able to deliver orders in Aruba right now as this is where I am currently based. Chef, Thanks for sharing this recipe looking forward to infuse my Jamaican culture in this year’s Thanksgiving by cooking my first jerk turkey. Your directions say one should remove the turkey from the fridge hours before cooking time to season. Would it make a difference if I seasoned the turkey the night before and then 3-4 hrs before cooking it the next day bringing it out to add salt and let it sit at room temperature before putting it in the oven? In regards, to spice factor how would you rate the spice with using 2 scotch bonnet peppers for a 16lb turkey? Thanks! I just edited the recipe to make it clearer. Hope that helps. The two peppers are not hot at all for the quantity of seasoning you will get from this marinade. What size onions are you using and are you actually using 5 whole onions ??? Yes 5 whole onions med-large. Okay, I’m really nervous about this recipe. In the blender everything came out greenish and it was quite a bit. Brittany that is fine and you will have excess for other use. 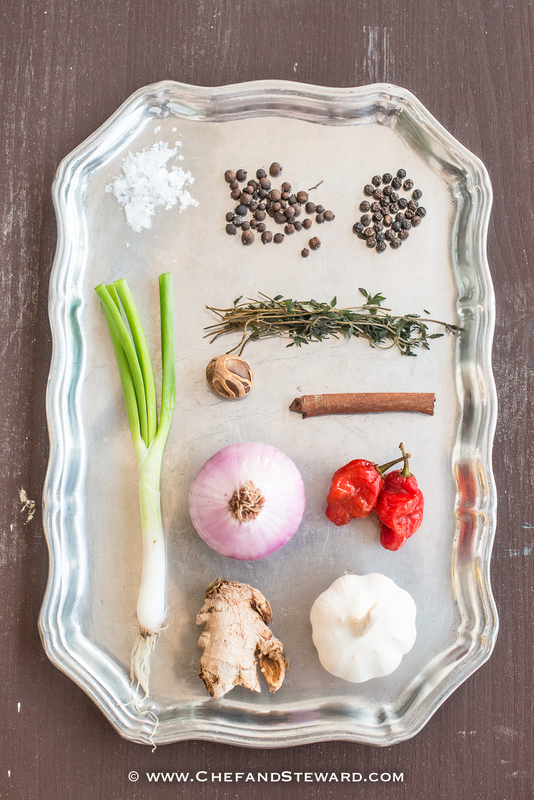 Put the unused marinade in an airtight glass jar and refrigerate for several months! Does one rinse the turkey before roasting? My fear is heavy layer of marinade will burn…thanks? NO you do not rinse the turkey. If your oven keeps correct temperature and you cook it at the temperature stated, it will not burn. You can rotate the turkey half way during the process.